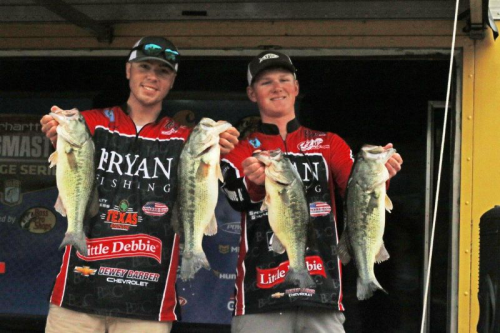 They come from three different regions of North America, and collectively they’ve won nearly $3 Million catching bass. 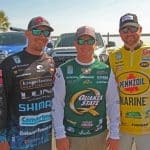 Ontario, Canada’s Jeff Gustafson, Alabama’s Scott Canterbury, and North Carolina’s Matt Arey are three of pro angling’s really good guys, the kind of dudes you’d want to help raise your kids, and they graciously share what fans can expect on the eve of the first Bassmaster Elite Series event of the new season at the St. Johns River. What’s the coolest thing you experienced during the off season? “Gussy” – Getting engaged to my hott and sweet girlfriend Shelby Larson. Canterbury – Hunting with my daughter Taylor, and going on a family cruise. Arey – Watching my neighbors son-in-law kill a 6-year-old whitetail buck. 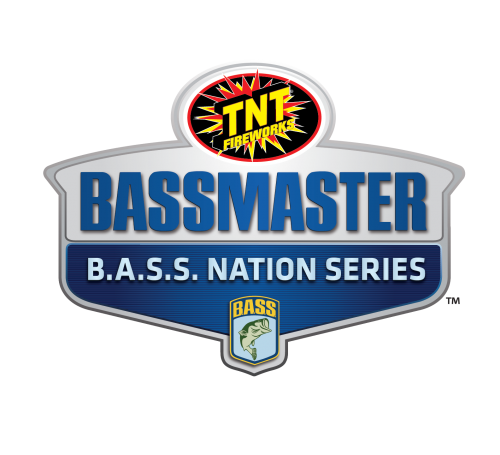 What excites you most about competing in the 2019 Bassmaster Elite Series? Arey – Competing against a field of 75 pros versus the 175 I’m used to. What will be the biggest challenge in this event? “Gussy”- Meeting the expectations myself and my friends have for me. Canterbury – Intersecting the bass that are moving up to spawn. 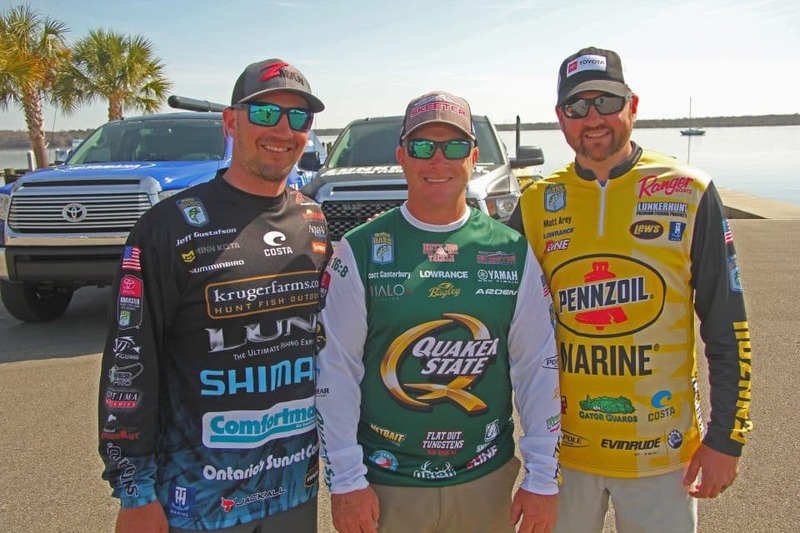 Arey – Overcoming my poor history in Florida tournaments, and on tidal rivers. How much weight will you need to catch on average each day to make the final day cut? 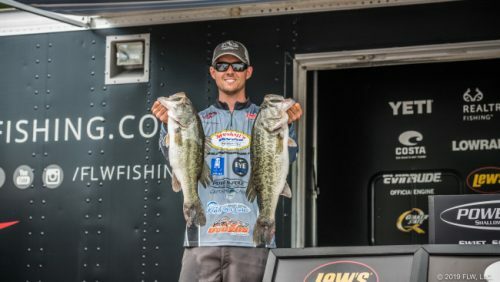 Name four lures fans can expect the pros to throw a lot this week. Canterbury – Bang O Lure Spintail, soft plastic stick worm, a swim jig, and something to cast at a spawn bed. 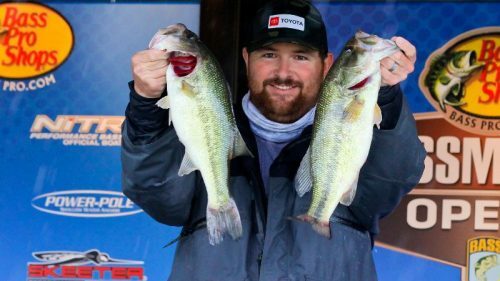 What percentage of the bass brought to weigh-in will be caught from a spawning bed anglers can visibly see? “Gussy” – 10% – because the water is fairly dirty.